We are back and better than ever. 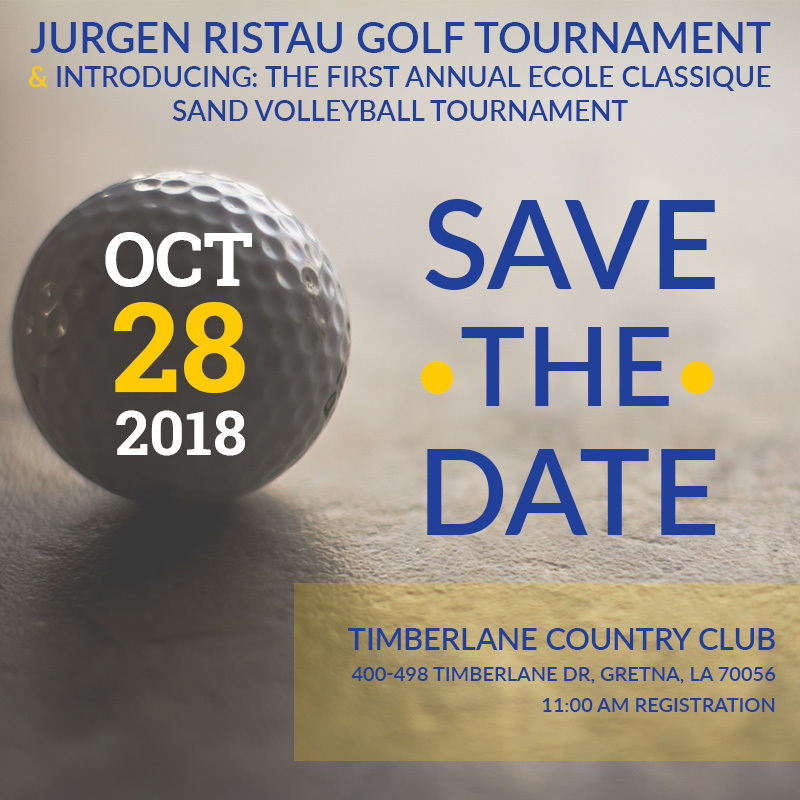 Along with our annual golf tournament, we are proud to introduce our first sand volleyball tournament supporting Ecole Athletics. Both events are located at Timberlane Country Club in Gretna, LA. Our golf tournament is held in memory of a longtime coach & teacher at Ecole Classique, Mr. Jurgen Ristau. The money raised by the tournament will go into the Sal J Federico general fund. You can register for either tournament above. If you are interested in sponsoring a hole, or the event in general, please refer to our registration link at the top as well. See the menu at the top for more information on either events.